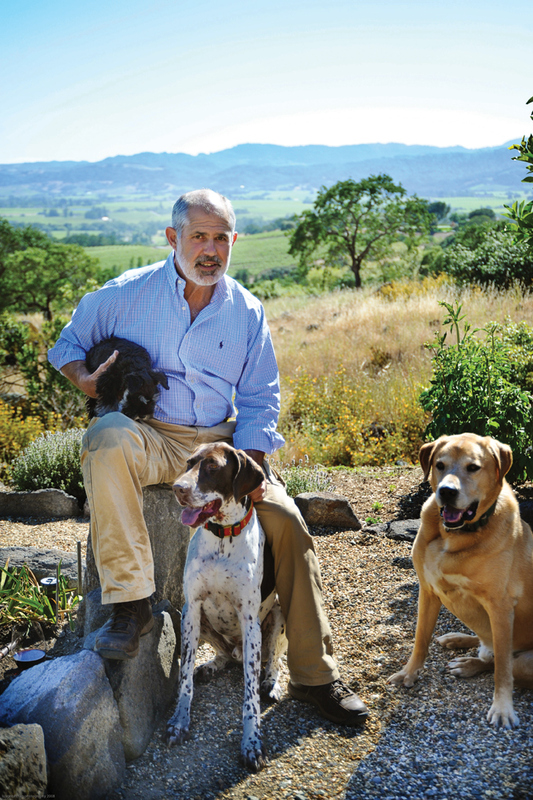 Bob Pepi succeeds not once, but twice on a Napa mountainside. Bob Pepi with two of his three dogs, Luigi and Oscar. Roast duck with cabernet Franc cherry sauce. When people talk about the good life, they’re often envisioning sitting on a terrace with a glass of wine in one hand, a plate of fresh bread and cheeses nearby, looking out over a bucolic scene with the sun starting to set. It’s a beautiful image, one that can be doubly appreciated by us right now as we slog through another St. Louis winter of freezing temperatures and, more than likely, a few feet of snow. Someone who has been living the dream for many years near the top of a mountain in the Atlas Peak section of California’s Napa Valley is Robert L. Pepi. 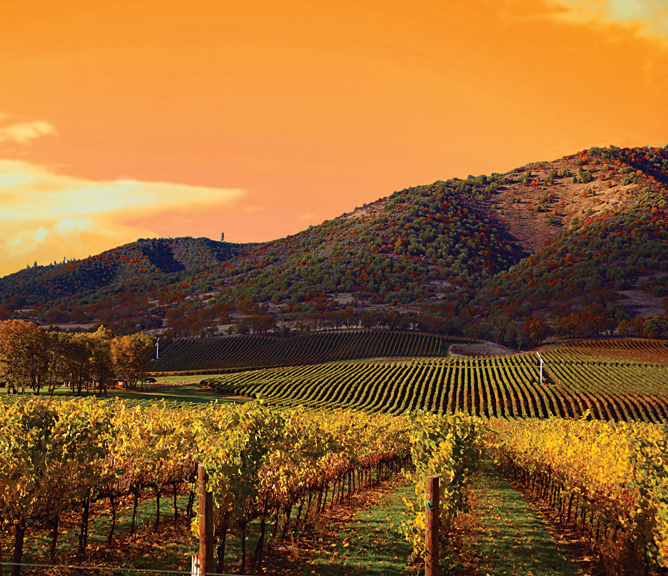 Born and raised in San Francisco, the grandson of Italian immigrants who came to the city by the bay in the 1920s from Italy’s famed Tuscan wine region, Bob first visited Napa when his father bought farmland there in the early 1960s. After growing grapes for nearly 20 years, father and son (who, by then, had become an oenologist), started making wine under their own label. Bob and his father bought land on a Napa mountainside and built two Italian country-style homes that became the Pepi family compound. Their wines, in particular their Sauvignon Blanc and their Cal-Italian wines (made from traditional Italian grapes) became benchmarks of their varietal and style, and Bob’s reputation as one of the great winemakers that helped make Napa the most famous wine region in the U.S., was sealed. In the early 1990s, the family sold the vineyards, winery and the Pepi wine label, but kept the family compound, which was surrounded by a neighbor’s neglected vineyards. It was these vineyards that Bob viewed from his terrace that also overlooks a large swatch of Napa Valley. He knew they could be rehabilitated and, possibly, produce some of the finest Napa Cabernet Sauvignon grapes. Bob went from coveting his neighbor’s vineyard to owning it in the late 1990s. 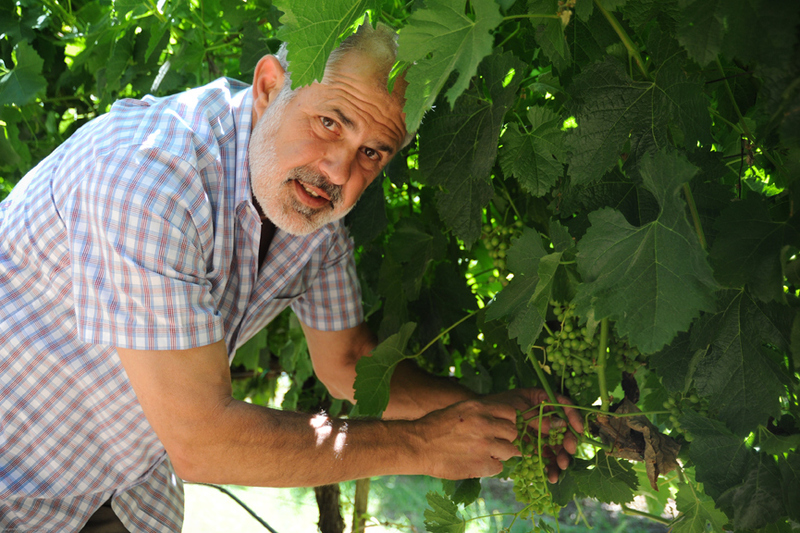 While he worked as a consulting winemaker for many wineries in California and abroad (including what is now a 20+ years relationship with Bodega Valentin Bianchi, one of the oldest still family-owned wineries in Argentina), he devoted what was left of his time to working this plot below his home until he had a crop he felt was ready to be bottled. In 2000, the first bottle of Eponymous Single Vineyard Napa Cabernet Sauvignon rolled off the production line (“eponymous” being a word his daughter suggested to highlight Bob’s predicament of not being able to put his name on a wine label due to contractual restraints when the family sold their winery). In the great tradition of winemakers, especially those with Tuscan blood running through their veins, Bob creates wines that are best enjoyed in the company of fine food. While raised on such Northern Italian specialties as simple red sauce pastas, Polenta With Baccala (salted cod fish), Veal Scallopini and Saltimbocca (breaded veal cutlets stuffed with prosciutto and herbs), Bob is partial to dishes that best complement the Cabernet, Cabernet Francs, Syrah and red blends that have become his passion for the growing Eponymous line. 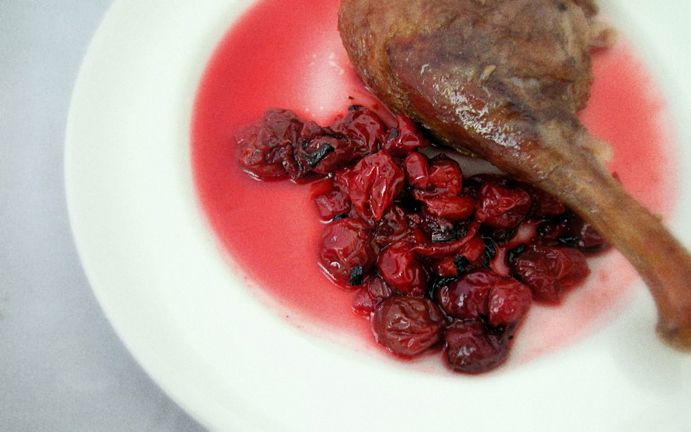 A personal favorite is Roast Duck, made with a Cabernet Franc Cherry Sauce. While the duck is roasting in the oven, Bob prepares the sauce with a cup of his Cabernet Franc, the grapes coming from a second vineyard Bob owns near the top of another mountain just over the ridge from Napa in Sonoma County, combined with balsamic vinegar, honey, dried tart cherries and a spice bundle of cloves and peppercorns. It simmers until the liquid is reduced by half, and then is poured over the finished roast duck and served. Often, it’s accompanied by grilled local vegetables or, on special occasions, a pumpkin stuffed with everything good. In essence, it’s a terrific way to have a stuffing that is a great side dish for the duck, and also a perfect match for Bob’s Cabernet Franc. That’s the meal that Bob will be eating, overlooking his Eponymous vineyards, a glass of his red wines in hand...one we can replicate in our winter dining rooms or, perhaps, in front of a roaring fire, creating our own good life memories. Season duck with salt and pepper and roast at 375°F until internal temperature is 180°F. Remove from oven and tent with foil. While the duck is resting make the sauce by combining 1 c. Cabernet Franc, 3 tbsp. balsamic vinegar, 2 tbsp. honey, ½ c. dried tart cherries, and the spice bundle (cloves and peppercorns), and simmer over low heat until the liquid has reduced by half. Discard spice bundle and serve immediately over duck.